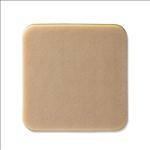 Exuderm RCD Hydrocolloid; MUST CALL TO ORDER . Medline has developed Exuderm, a range of sterile hydrocolloid wound dressings designed for all stages of wounds. � Each product creates a moist environment to encourage wounds to heal. � Exuderm RCD Hydrocolloid With Exuderm Regulated Colloidal Dispersion (RCD) Dressing, exudate is absorbed with less meltdown, which in turnresults in less frequent dressing changes and easier wound irrigation.